For thousands of years, people living in the world’s rain forests have hunted animals to feed themselves. Wild game is a vital source of protein for indigenous people, and traditional hunting practices were balanced with the biodiversity levels of the forest. But this is no longer the case. Bushmeat poachers are now emptying rain forests, using automatic rifles and wiping out entire animal populations. The meat is exported to Europe, the USA and other countries, and organized crime figures are often involved in the trade. Logging companies have opened up new access roads, allowing the poachers to reach ever further into the forest. 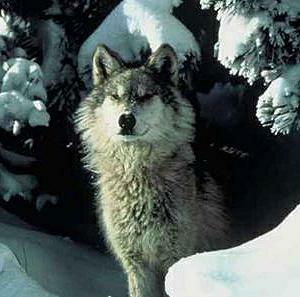 There is no way the wildlife populations can sustain this level of slaughter. The numbers are horrifying. U.S. Fish & Wildlife Service reports more than one billion individual animals were imported into the United States from 2000 to 2004, along with over 11 million pounds of bushmeat and other animal products. A study in Europe has recently found about 270 tonnes of illegal bushmeat could be passing through Paris Roissy-Charles de Gaulle airport each year, and that’s just one European airport. Lush jungle canopy growth is becoming increasingly silent as the wild species are wiped out. Now it seems the jungle canopy itself is at risk from the effects of excessive bushmeat hunting. A team of scientists from the National Museum of Natural History in France has surveyed seeds and seedlings in two different areas in the Central African Republic. In one area, nearly all large mammals have been wiped out. The other area has similar soil, plant species and climate, but still has a healthy population of large animals. They found the site without large mammals had less plant diversity and lower numbers of medium and large seeds. Vegetation is becoming increasingly dense, and without the competition from large trees, small plants are beginning to thrive. By exterminating the large mammals, poachers are throwing the plant community out of balance. Larger animals disperse larger seeds, and by removing them, hunters are essentially weeding out the trees and shrubs with big seeds and allowing small-seeded species to take over. The result is a less diverse forest, with unnaturally thick vegetation. Entire ecosystems are on the verge of collapse due to the illegal bushmeat trade. The strands of the complex, interwoven web of life in the rain forests have been separated, and cannot be put back together. The question is, as humans are at the top of every ecosystem, will we be able to adapt fast enough to survive? Or is the rampant bushmeat trade ultimately going to lead to forests empty of human footprints as well?